Are you an aspiring entrepreneur who wants to start a business that is already secure and has a proven track record? If this is what you are thinking, then franchising would be your best option. Basically when you franchise, you are essentially owning something that is based on an already existing model of business – and for other entrepreneurial individuals, this has spelled immense success. Don’t worry! We at FranFrog, a reliable franchise consulting agency are here for you. If you are still hesitant about it as well, here are some benefits to franchising that you should be aware of. Established record of success.Any good franchise company has already developed a business method that produces successful results. Also, you should know that before franchising a business, that business is required to disclose a great deal of information – meaning, you can verify and investigate if their track record of success is actually legit. There are many companies out there today franchising there business, and to help you make the right fit, we at FranFrog are here for you. Branding.One of the biggest advantages of franchising is that the brand is already established and it already has a value in the eyes of customers. As a top franchise consulting agency, we at FranFrog, are here to help you find the brand that you want to actually work with. Ongoing support from operations. Starting a new business can be terrifying – especially if you have no prior experience in it. This is why new entrepreneurs typically choose to franchise first. After all, companies that franchise their business have staff that are dedicated to providing ongoing operational support. As a newbie, you will not be left alone – you have a whole team backing you up. Training. At FranFrog, we will help you find the best franchise company that you can work with. And one characteristic of a good franchise company is that they provide training programs that are designed to help you – a new business owner. These training programs are designed to help bring you up to speed about the business; tips for success; and how to deal with possible problems. This is just a short list of the many benefits that you can reap from going into the franchising business. To help you get started, we at FranFrog, a committed franchise consulting agency, are here to support you. Call us today at 1-800-388-2810 to set an appointment with us. Or, come visit us at 5500 Military Trail, Suite 22-217, Jupiter, FL. Make your entrepreneurial dreams come true today! 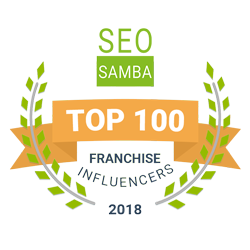 This entry was posted in Franchise Consulting Agency and tagged Business, Franchise Consulting, Franchise Consulting Agency. Bookmark the permalink.